Ever have an almost addict-like urge to bake something? Sometimes the feeling of wanting to bake is almost as strong as the urge to eat whatever tasty treat will come from it. I’m sure that’s a feeling that would seem completely ridiculous to people who don’t truly enjoy baking or cooking, but there’s something so peaceful and satisfying about creating something in the kitchen on a lazy weekend that has consistently kept it as one of my favorite activities. I was excited to receive Averie Sunshine’s Peanut Butter Comfort last Christmas and these Butterscotch Cream Peanut Butter Cookies mark the second tasty recipe I’ve made from it. The name of these cookies is true to their flavor – if you under-bake them just right, they have a wonderfully creamy consistency and a flavor that’s a lovely hybrid of butterscotch and peanut butter. We are leaving tomorrow for a couple of weeks in Austin, TX during which I doubt I’ll be undertaking too many crazy kitchen sessions, so I’m glad I got one last hurrah in while I could. Is it weird that our luggage tends to consist of the normal clothes and toiletries along with a chef’s knife, ridiculous amounts of coffee-making supplies and the occasional jar of peanut butter? Nah. Oh and cookies… can’t forget the cookies! 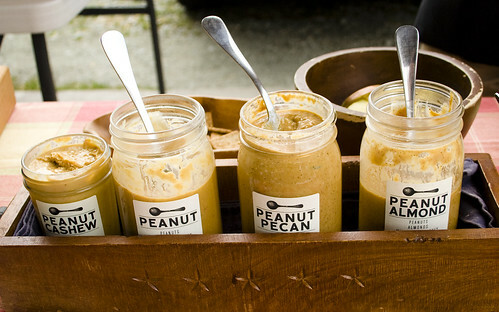 Clear some space on your cookbook shelf (or in your luggage) for a copy of Averie’s Peanut Butter Comfort. My husband looked at me as if I’d said something crazy. Sure we live 500 miles from Durham, but he married a girl who writes a blog about peanut butter. This shocking lack of understanding made me question our marriage. Okay, I’m crazy, but not that crazy. We happened to be on a road trip from FL to NJ and I requested a stop in Durham on the way home. As you may know, I LOVE peanut butter – and this wasn’t just any peanut butter. 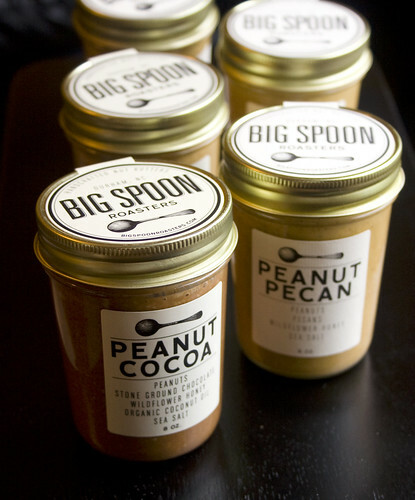 Big Spoon Roasters tastes great, it’s natural, and it’s made with high-quality ingredients in small batches. 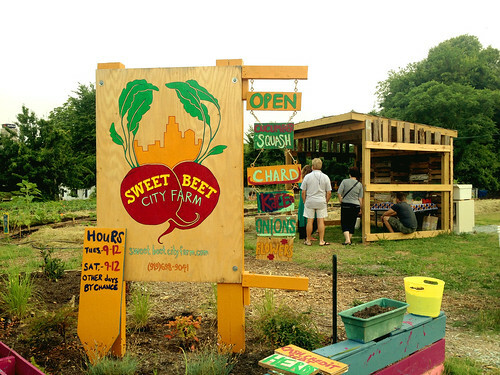 It’s run by a very nice guy named Mark Overbay who cares deeply about flavor, nutrition and sustainability, among other things. 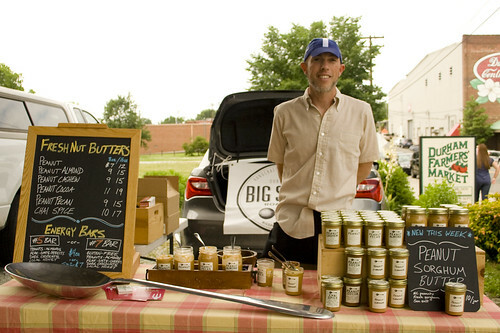 You should read the inspiring tale behind Mark’s line of nut butters and peek at his unique flavors so that you can understand my enthusiasm for them. I have been following his brand on twitter for a long while, so my feed has long been sprinkled with delicious-looking tweets and photos. While it’s sad that I can’t always hop in the car and drive a couple of minutes to seek out whatever he’s posting, the upside is that the suspense made our visit that much more exciting. My friends have spent the past few weeks counting down to the new episodes of Arrested Development, but I’ve had my own final countdown to peanut butter. At long last, the day had come! We found ourselves at the farmer’s market where Mark patiently served me sample after sample. I hemmed and hawed over which jars to take home as edible souvenirs. They’re too hard to read in that pic, but check out the impressively simple lists of ingredients proudly displayed on the front of the jars. 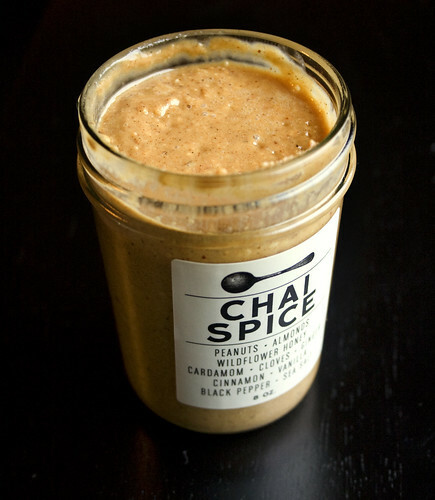 Each flavor is special, but there was one specific flavor that I was dying to try: Chai Spice Nut Butter. Oh, and it was so worth the wait! Speaking of his wife – she started a line of no-bake energy bars that are made with his peanut butter. I tasted the #5 which had a lovely balance of dried fruits, chewy oats, rich dark chocolate and cocoa nuts and cocoa nibs. Chock full of healthy ingredients, the bar packs such a bright and fresh flavor that would work as a great reward on any day or as a burst of energy before a workout. As good as it was, I confess that I did not work out after eating mine- though I considered putting on my sneakers and running back to the market to buy more. 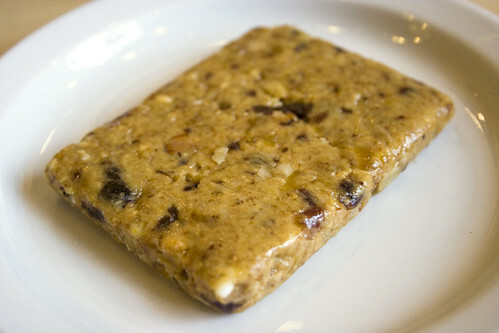 Don’t be fooled by its humble appearance; it is truly one of the best energy bars I’ve ever eaten. 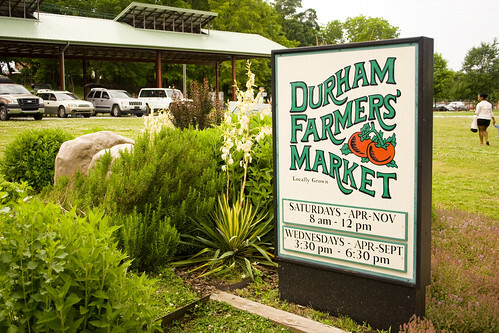 The bars are not currently available for mail order, but you can find them at the wonderful Durham Farmer’s Market. We visited the market on its “small” day, according to our hosts but there were plenty of stands showcasing beautiful produce and even some fabulous jams. 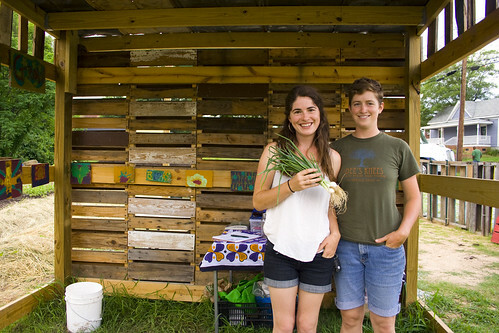 And speaking of our hosts, Emily-Kate and Laura – we found them via airbnb and found out that they have a lovely new farm called Sweet Beet. If you are in the area, you should check it out! We only had a day to spend in Durham, but between meeting such nice people and eating / drinking some amazing things, suffice it to say we will be back. - Cocoa Cinnamon: A coffee-house that strives for such perfection that they are currently in “beta” mode. I’m not sure why though, since they seem to have it down pat. Their Sea Lion latte (chocolate, cinnamon and molasses) was dynamite. - Fullsteam Brewery: A large brewery on a fun street that’s shared by other bars and rotating food trucks. - Rise: Their donut flavors change every day and they make one with Big Spoon Roasters’ PB. 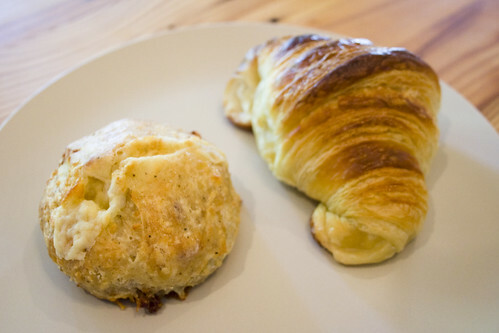 - Recommendations by The Gourmez: Guglhupf, Parker and Otis, Wine Authorities and Bean Traders. It’s been really fun to travel the country and eat our way through cities like Durham. The hardest part about it is choosing what to eat during the short period of time we’re in each place. I take it back. He gets me. Peanut Butter Boy is REAL! The caped crusader is officially on the loose – in a store near you! It has been far too long, my peanut butter-loving friends, but I am so excited to be back to share this amazing new product with you. 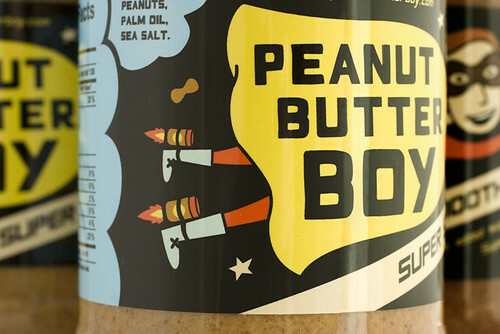 My friend Nick recently launched his very own line of natural peanut butters called Peanut Butter Boy. Like myself, he’s been enthusiastically writing about peanut butter for a few years so if it’s anyone you can trust your prized PB&J in the hands of, it’s him. 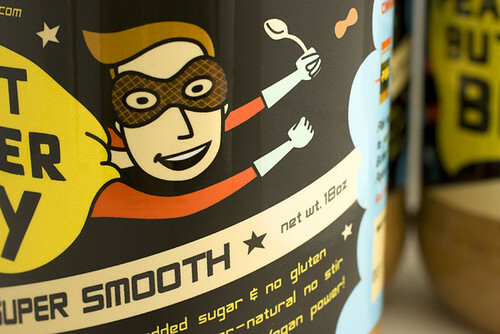 • Super-natural, low stir and gluten free. • Made with no added sugar. • Made with natural sea salt. • Made with only “unblanched peanuts” which means that he doesn’t take off the peanut skins during manufacturing. This yields a peanut butter that has more flavor and nutrients – including more fiber, antioxidants and resveratrol. It also means that the peanut butter is less processed and more natural. Basically, Nick’s peanut butter is quite possibly the closest you can get to freshly ground peanut butter without actually having to farm peanuts and grind em yourself. It has such a natural peanut flavor and both varieties have amazing texture. If you scoop out a spoonful of Crunch Power, you might even find peanut halves! Both varieties are a little salty, which counter-balances sweet jellies for truly the best PB&Js. Become a believer and try it yourself. As far as I know, he doesn’t yet have a “bat signal” type thing, but til he does you can order online. Once you do, you can try out some of the yummy recipes on his blog. Two of my personal favorites are his awesome Thai Peanut Salad Dressing and his sweet but satisfying Gluten Free Peanut Butter Granola Bars. There are certain foods in the world with names that work against them. Ugly fruit sounds like Mother Nature’s reject, gravlax sounds like an evil creature from Lord of the Rings, and hemp sounds about as tasty as an old burlap sack. My mother-in-law drinks hemp milk and even though I’ve been to her house many times with the ability to take just a little taste without having to buy and potentially chuck a whole container of it, I still haven’t brought myself to go for it. Hemp milk. It just sounds wrong- and I’ve tried (and liked) plenty of other non-dairy milks like soy, almond, hazelnut and rice. Hemp just takes it a teensy step too far. 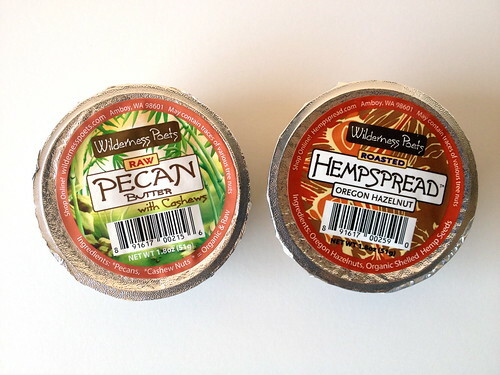 Or so I thought – until I saw these Wilderness Poets Nut Butters. 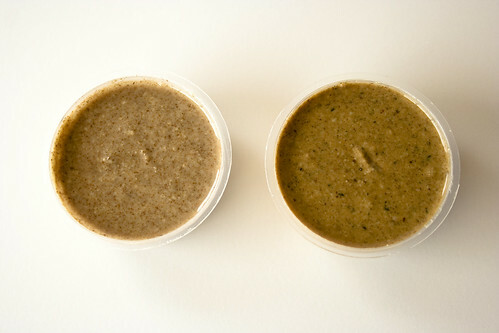 It’s possible that hemp in nut butter form was just a more comfortable platform for me, but I went for it. Despite the leap, I fully expected to detest the hemp butter and anticipated washing its offensive flavor down with the pecan butter. Considering the small size of the container and little risk of food waste, it was worth knowing for sure. Turned out, I was wonderfully surprised: the hemp butter was great. Not good, it was actually great! I devoured it. 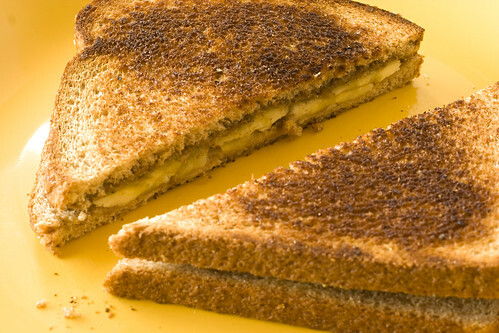 It has a pleasantly seedy texture that gives the sandwich a little body. I’ve had peanut butter with flax seeds in it and wasn’t wild about that extremely seedy texture, but these seeds mesh a bit more with the peanut butter. Or maybe they just grind em down or something… whatever the case, it worked for me. 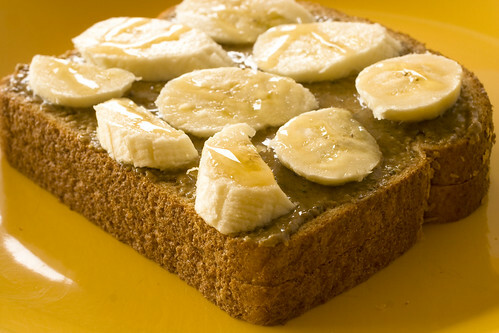 The roasted hemp gives it really nice, deep body, which is great on its own or with a little banana and honey. According to their site, there are some benefits of eating hemp (note: not acquired by eating burlap sacks) including that it’s a living plant energy, it has the perfect balance of Omega 3&6 EFA’s, it has the most potent protein of any plant source (good for us vegetarians), and it contains all 10 essential amino acids as well as other important vitamins & minerals. Not to mention that this particular hemp butter is vegan and free of sugar, soy, gluten, trans fats, GMO and cholesterol. Pick up some Oregon Hazelnut Hempspread Butter from Seattle-area based Wilderness Poets. They have a lot of unique flavors and you can try a few with their handy sample pack. So, I wasn’t actually going to write a separate blog post about the many bars that I acquired in Portland, partly because I bought too many bars at once and set off eating them way too quickly. 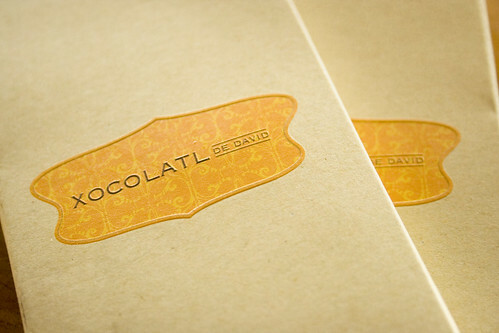 But, then I tasted this Brown Butter Bar by Xocolatl De David and life as I knew it changed. 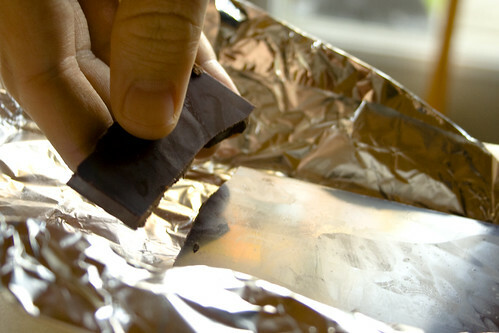 You know you’ve found a good chocolate bar when it literally stops you in your tracks. And when everyone around you freaks out about it too. It’s not just you, it’s fricking amazing chocolate. That “U-turn” comment couldn’t be more accurate. I think all four of us who tasted it did exactly that. The move was like a physical, “Say what?!”. This bar is super crazy smooth and has an amazing brown butter flavor. How genius of them was it to develop that flavor anyway? Of course brown butter would be awesome as a chocolate flavor because brown butter’s awesome with everything. This bar is caramelly, perfectly salty and it just absolutely mmmmmmmelts in your mouth. On a side note, I just want to throw it out there that it’s really cool that they have a link to the firm who designed the packaging right on the packaging itself. It’s not something that maybe any (?) other brands include on their packaging, but considering what a huge part package design plays in influencing the consumer to pick up a product, I think it makes perfect sense to be on there. Nicely done. Designed by Fullblast Creative. On another aesthetic note, I kind of like that their bar (see above pic) is perfectly smooth on the surface with no square shapes or logos- nothing to take away from the simply awesome tasting experience. Xocolatl De David Brown Butter. Go. Looking for more? The CPB Archives are delicious!